The public is invited to comment on permit applications the State Department of Environmental Conservation (DEC) received for the proposed, federally regulated Constitution Pipeline and an upgrade to the Iroquois Wright Compressor station in Schoharie County that is part of the project. 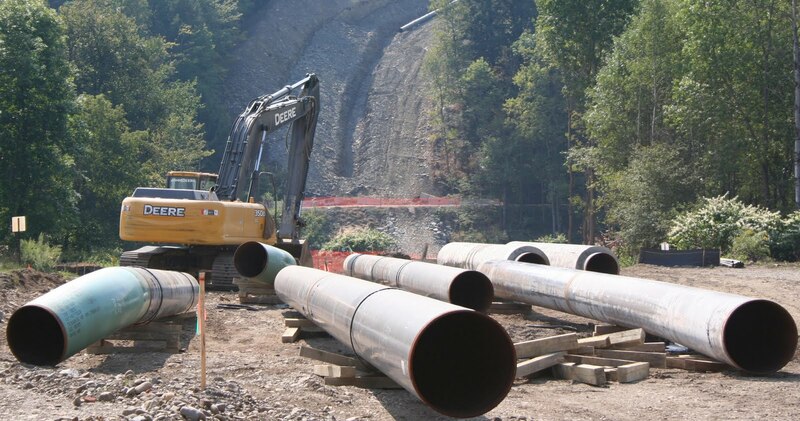 The 30-inch Constitution Pipeline is a proposed interstate natural gas pipeline that would traverse 124 miles though Broome, Chenango, Delaware and Schoharie counties, transporting 650,000 dekatherms of gas per day – enough to serve approximately 3 million homes. Just last month, November 15, more than 200 people converged on Ithaca College to discuss how communities can protect their interests in the face of development from pipelines, compressor stations, and other fracking infrastructure. Pipelines represent a huge investment in continuing to burn fossil fuels to power our economy – a $21 billion investment in pipeline development for moving gas extracted from Marcellus shale alone, said environmental lawyer David Slottje. Overall, he said, current estimates point to building 15,000 miles of pipeline each year between now and 2035. Not the sort of investment a company makes for a “bridge fuel”, he noted. The Federal Energy Regulatory commission (FERC) and NY State Public Service Commission (PSC) are in charge of big projects, such as pipelines. The major difference, especially important in the case of pipelines, is that FERC decisions grant eminent domain whereas PSC doesn’t. Which agency has oversight also depends on whether a pipeline is crossing state borders or connecting to an interstate pipeline, and how big it is. While transmission lines are regulated, “gathering lines” and those carrying gas at pressures below 125 pounds per square inch (psi), or that are shorter than 1,000 feet fall into the unregulated category. The Constitution Pipeline is only one of the pipelines scheduled for this area. There’s also the “Millennium Phase-1 North-South Upstate Pipeline Connector”, locally referred to as the “I-81 Pipeline”. This is a 24-inch, high-pressure pipeline slated to run from Johnson City in Broome County north along I-81 to Syracuse. A pipeline that large needs 75-foot easements, she said – a large swath across people’s property. According to Delaware Riverkeeper, a 100-foot wide right-of-way translates into twelve acres of disturbed land for every mile of pipeline. People need to consider the impacts along the entire length of these pipelines. But instead, some pipeline companies are breaking down their project to look like shorter pipeline projects so that FERC doesn’t see assessments for cumulative damage along the entire route. DEC maintains the authority to review applications for specific permits and approvals. These include an Air Title V permit for the proposed compressor station upgrade, as well as a Water Quality Certification, a Protection of Waters permit, a Water Withdrawal permit and a Freshwater Wetlands permit for state-protected wetlands and adjacent areas for the pipeline installation. Binghamton - Monday, Jan. 12, 2015, 6 p.m.
Oneonta - Tuesday, Jan. 13, 2015, 6 p.m.
Cobleskill, Wednesday, Jan. 14. 2015, 6 p.m. The Bainbridge Free Library, 13 N Main St., Bainbridge. Pepper Trail may be the only full-time forensic ornithologist. He works for the National Fish and Wildlife Forensics Lab in Ashland, Oregon. On November 3 he visited the Cornell Lab of Ornithology to talk about the sort of work he does. Trail documents evidence of crimes against birds. That can include anything from smuggling endangered species to trade in feathered craft items. One of the most common kinds of evidence he gets – accounting for a quarter to a third of all his cases – is oiled birds. These birds often come from oil pits and waste pits located at drilling sites, Trail said. Companies are supposed to make their waste pits inaccessible to birds, but in most cases the their attempts fall far short of the law. Some look like wetlands, with oily water spread over reedy areas, while others are well-defined rectangular ponds. Both attract birds. Trail doesn’t visit drilling sites, so he can’t say exactly where the birds are coming from or whether the driller is fracking for gas or oil. It’s the job of field investigators to fish dead birds from the oily depths and send them in. Trail’s job is to clean the feathers – tail feathers are best, he says – and look for distinguishing characteristics. So he washes them with solvent, gives them a rinse and then dries them off with a hair-drier. Waterfowl aren’t the only birds attracted to gas and oil waste pits. Trail has identified 172 species, including mocking bird, barn owl, lark buntings and even roadrunners. “The mortality due to gas and oil pits is in the range of 500,000 to a million every year,” he said. To put that in perspective, the Exxon-Valdez oil spill killed 250,000 to 300,000 birds. 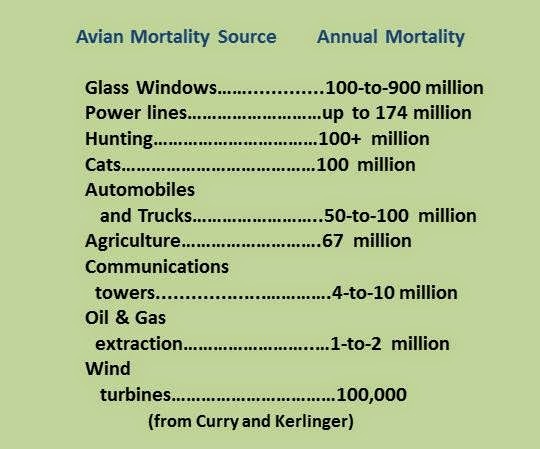 Wind turbines account for about 100,000 bird deaths each year. The current strategy of surrounding the pit with chain-link fence or stringing used-car-lot flags across the surface is totally inadequate. “The best way to protect birds is to pump out the pits and inject the fluids into storage tanks that are closed,” said Trail, adding that an alternative would be injecting waste into a geological formation – “if that’s safe.” Securely netting the pond could work, but too often the netting sags into the oil. Veterans Defend Seneca Lake Against Environmental Enemies "Foreign or Domestic"
On October 27, retired Air Force Senior Master Sgt. Collen Boland zipped up a fleece jacket emblazoned with her name, rank and rows of decorations, then headed to Crestwood energy’s site on Seneca Lake. 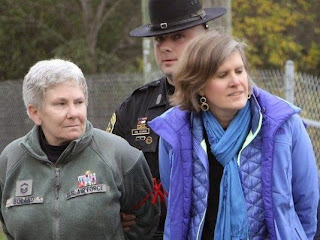 There, she linked arms with others defending Seneca Lake from the proposed gas storage project. When a tractor trailer approached, Boland and the others refused to move. Within minutes Sheriff’s deputies showed up and arrested the protesters. Boland, who was born and raised in Corning, NY, never thought of herself as an activist. She never thought of herself as a tree-hugger. After four years of service in the Army and another thirteen in the Air Force, Boland retired. She took off her uniform and moved on to new things. But with industrialized drilling and gas storage encroaching on the local landscape, Boland reluctantly polished her boots and dusted off her awards and decorations and prepared to serve in a new way. In a press conference last week she reflected on her years of military service, and the places she was stationed. One thing they had in common, she said, is water. Children in Schuyler County and Dimock, Pennsylvania, like children in Malaysia and elsewhere, need access to clean water. Explaining why she wore a “civilianized” version of her Air Force jacket, Boland explained that she was trying to dispel the notion that “the only people standing up to protect our water, our air, and our communities are tree-hugging hippies or out of touch dreamers. Don't get me wrong, I love trees, but I was never quite cool enough to be a hippie —and I'm certainly not dreaming," she said to laughter and applause. Boland is distressed and offended that people who oppose extreme fossil fuel extraction are being dismissed as “people who don’t belong here.” We do belong here, she declared. "I am still serving, still defending. I am defending the natural beauty of the Finger Lakes region that I love against all enemies foreign and domestic. Crestwood is my enemy." Boland isn't the only Veteran defending the lake; Dwain Wilder, a former sailor, spent his Veterans Day in jail for his part in the protest. Watch the video of the press conference and read an interview with Boland in the Air Force Times. 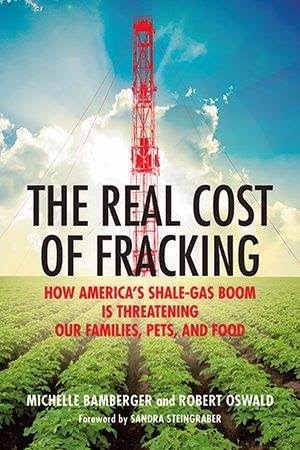 Earlier this week I had the pleasure of talking with Michelle Bamberger, a veterinarian and co-writer of the newly-published book, The Real Cost of Fracking (Beacon Press, Aug 2014). Like many living in Ithaca, Michelle Bamberger and her co-researcher, Robert Oswald had never heard about fracking until about five years ago. That’s when they learned that their property was surrounded by leased land and that their land, even without a lease, could be drilled under through a process called compulsory integration. They were concerned about potential threats to air and water, to local wineries, tourism, and agriculture. But their involvement with veterinary medicine made them keenly aware of what was happening to animals and livestock in drilling areas. Upon hearing stories about cattle and other animals becoming sick and dying after exposure to drilling fluids, they began documenting health problems - just as they would do when tracing a new disease. What they learned was that too often the people living in the homes and on the farms experienced health symptoms as well. Bamberger and Oswald published their findings about impacts of gas drilling on human and animal health in a peer-reviewed journal a couple of years ago. But, says Bamberger, “we realized early on that there are a lot of people who would never pick up a scientific article.” So she and Oswald began writing a book that would reach a broader audience. The Real Cost of Fracking: How America’s shale gas boom is threatening out families, pets, and food is a collection of case studies from Pennsylvania – families and farmers who have seen their animals and children suffer, watched their homes and land lose value, seen their retirement dreams shatter and, in one case, have become shale gas refugees. The book is well-documented, with lots of notes, well-indexed, well-grounded in science – and at the same time very readable. In the beginning, Bamberger and Oswald outline the difficulties faced by scientists who are trying to study health impacts related to drilling. They discuss baseline water testing, safe drinking water standards, and challenges of air testing. Then they delve into individual case studies. In one chapter they tackle issues of farming and food supply; in another they examine issues of environmental justice. “We wanted to take our scientific writing and turn it into an interesting story,” Bamberger says. Reading a chapter leaves you asking: if that were me, what would I do? One caveat the authors put forth at the beginning of the book is that they do not use the real names of the people whose stories they share. While the names are made up, the stories are not, “but each of these stories represents hundreds of similar cases in this country,” Bamberger says. Collecting information presented a number of challenges for the researchers – from the physical difficulties of reaching some of the locations to obtaining information. One of the obstacles to their research was non-disclosure statements. In many cases where drilling contaminated water wells, the drilling company would require homeowners to sign a statement pledging that they would not talk about their water contamination or any settlement issues before providing drinking water to the home. The biggest problem with non-disclosure statements, says Bamberger, is that they inhibit the ability of health officials and state regulators to obtain important information about an incident. Focusing on the health of pets and livestock may seem an odd way to document human health impacts, but Bamberger explains that animals are often the “sentinels” that indicate problems exist. Think: canary in a coal mine. While people head off to work and school, livestock and pets remain on the farm or in the home all day long, exposed to contaminants in air and water. Animals also have higher rates of reproduction and shorter gestation periods than humans, so problems with birth defects often show up earlier, Bamberger points out. But sentinels can’t replace monitoring – and that’s what’s needed in shale gas country says Bamberger. She points to what happened after the BP spill in the Gulf of Mexico: the FDA stepped in because of concerns about seafood absorbing chemicals from the spill. They monitored for oil dispersants and other chemicals – and continue to monitor seafood. But there’s no monitoring of milk, meat or vegetables in and around gas wells, even where there have been spills on pastureland. At almost every meeting she's been to, Bamberger says someone asks whether the food from Pennsylvania farms in gas drilling areas is safe. Back in July the Pennsylvania Department of Environmental Protection (DEP) admitted that oil and gas operations damaged water supplies 209 times since end of 2007. 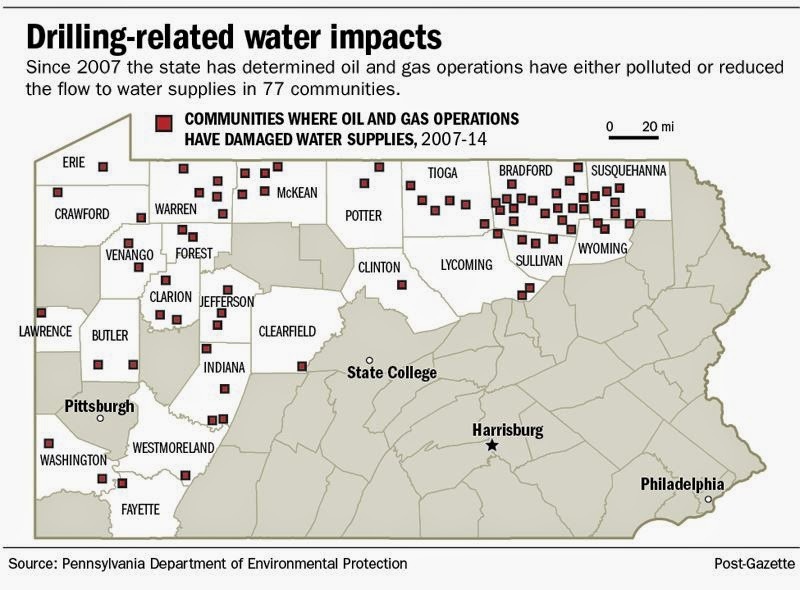 Finally – six years into the Marcellus gas boom – DEP has released details of 243 cases in which oil and gas companies were found to have contaminated private drinking water wells. This past week the agency posted online links to the documents. Names and identifying information has been redacted, but you can read the documents here. Some of these cases date back to 2008 but, when you look at the dates, DEP never got around to responding to them until months - or in some cases - years later. The cases include some where a single drilling operation affected multiple water wells. Problems listed in the documents include: spills (waste fluids and other pollutants); high levels of methane gas; ethane; heavy metals; and wells that went dry or were otherwise undrinkable. These documents cover drilling-related water well problems in 22 counties, but most of the cases come from Bradford, Susquehanna, Tioga, and Lycoming counties.